A post headline can make or break the content that you are creating. It plays a very important role for generating more and more traffic to your website. 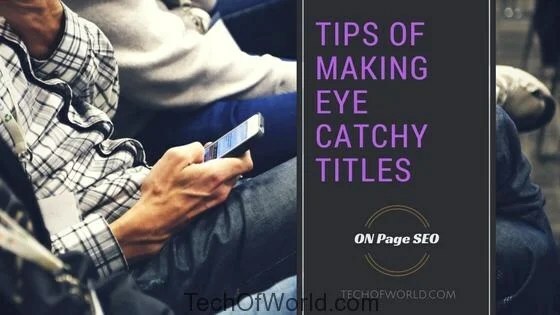 You can easily influence your target audience and drive them to your website by presenting eye catchy titles of your contents. Analyzing the keyword is the first step to making your post title search engine friendly. Simplicity always wins. Readers don’t think in complex while searching their desired content. Google recommends 70 characters for a post title. But it is the best practice to set up a title in between 50 to 55 characters. You must keep your main keywords in the title that means which topic your content is based on. This will show in search result how unique your title is. Title pixel is the presentation technique of showing any content’s title in SERP. Google recommends 600 pixels for a title. It has been extended from 512 to 600 pixels recently. But the best practice is to keep the title pixels in 460. You can measure your content’s title by an online tool. Go here (www.webshoptimizer.com). This will show you the exact pixels of your title that you want to create. Content copywriters love to use number in the post’s headline. It’s definitely working and tempting users to visit link’s containing different numbers. Using numbers in title is a very common and trendy things that is being widely used nowadays. So why not! Try this out. Try to use these adjectives in your title to make it more tempting. Ideas that help you to start a Business within 60 Days! Our nature is to being curious. Bring latest exciting news in the headline and it will grab readers attention. Same thing can be applied when writing title for product or service advertising. At last, The New Samsung Galaxy S8 Available in the Stores! At last, depending on the length of the post title, you may add additional 2-3 words that you think suitable. Sometimes content writers add their site name to the end. As SEO changes, you should monitor CTR (Click Through Rate) of old titles versus new ones. The higher CTR title should be kept instead of lower CTR title. So, I think these above tips should be helpful to complete on page SEO to generate more traffic to your desired website.